I had a week or so with no sewing obligations. It was nice, but now I am back to the grindstone again. I have been brainstorming about Christmas ideas and trying to gear up for the holiday season. I also had a custom order I finished and now I am working on another wholesale order. I did get a chance to add a couple of items to my shop. I also experimented with a new gadget pouch. 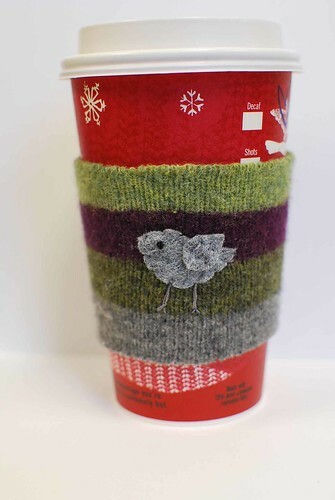 Coffee Cozies for the shop. The custom order I finshed. 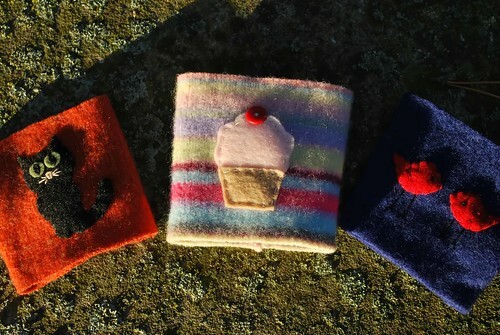 The gadget pouches. They have a little zipper in the back. You can go to the shop to see more photos. 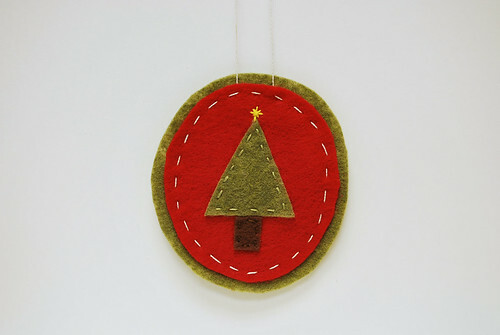 I have some ideas for ornaments that have a pocket on the back for a note or gift card. I just need to work out a few kinks. I am thinking about posting a little tutorial/pattern at some point. OKAY, first of all - LOVE the ornament/gift card idea. 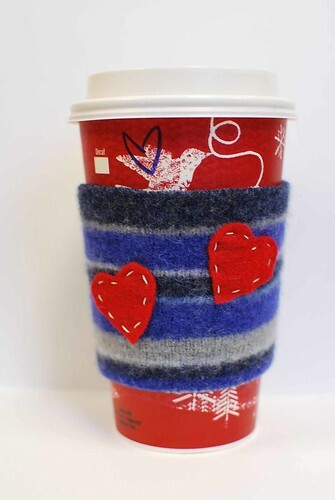 I was working on one of your cozies for Addie's teachers and was putting little apples on them and was thinking it would be cool if they were pockets so I could tuck a Starbucks card into it! 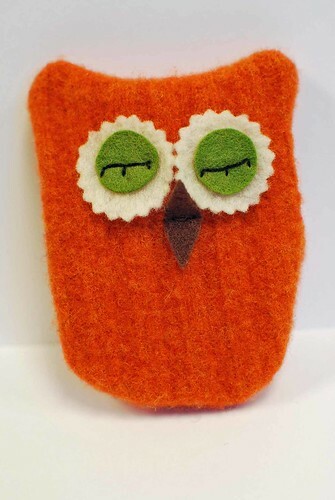 I then got sidetracked with Halloween and haven't been back to it - but maybe a combo of your ornament/cozy...I will have to see if it will work! I've already had "requests" from aunts and parents for Christmas - so I'm very excited to work on some of them. I'm over to check out your gadget pouches right now. I LOVE the OWLS, as always. That ornament is so pretty, and great idea to add a gift card pocket. It seems gift cards are what is truly wanted. Just easier I guess. At least dressy them up pretty kinda takes off the genericness of the gift. Beautiful job on the rest, too. 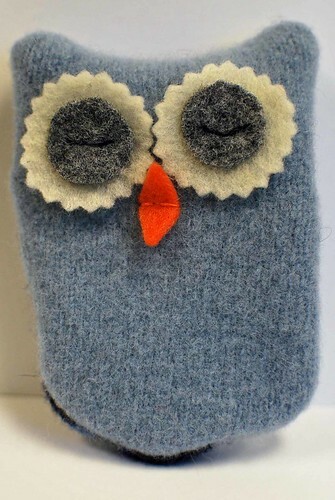 Those owl pouches are the cutest! 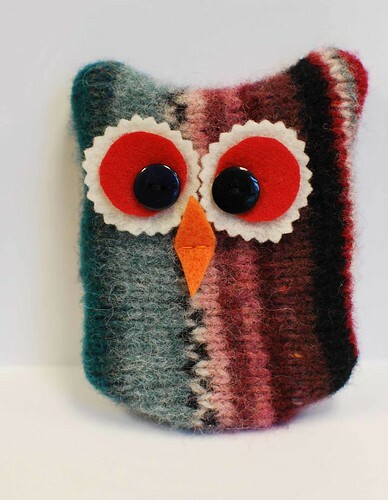 Oh my goodness, the gadget pouches - CUTE! All of them are so cute, the owls are adorable! Some friends and doing are meeting up to make homemade holiday gifts, it been going really well and I am so glad to have less and less to "buy". 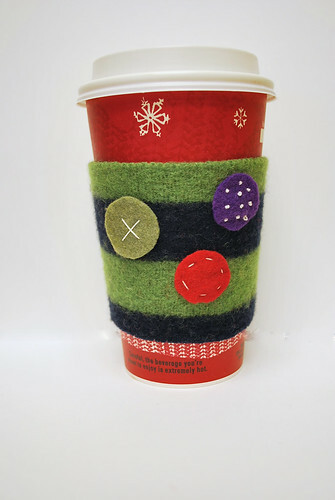 Can you give me tips on felting the sweaters, we are going to make wreath ornaments next time and that involves felting....I have yet to do that, is is hard?